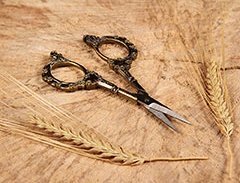 How adorable are these decorative scissors? They are the perfect size and sharpness for cutting ribbon, lace and twine. They will make a lovely keepsake for you and will look good on your desk!